Cargo Space: 73.5 cu. ft.
t’s hard to compete with the all-new 2018 Volkswagen Tiguan. Entering the market with a fierce introduction, this stylish SUV takes on all angles of the Jeep Cherokee and stands out as a winner for Evanston shoppers. From its robust performance to interior versatility, you’ll have an athletic drive and more space to bring everyone and everything. We’re excited about this new model, and we’ve outlined the benefits over the Cherokee so you can narrow down your options and take the Tiguan on a test drive today! The Volkswagen Tiguan has been long in the making, and the result is an SUV that has everything you could be looking for in an SUV. Stylish inside and out, there’s more features to enjoy than the Jeep Cherokee has to offer you. Passenger Space: While there’s room for five passengers inside of both SUVs, only the Volkswagen Tiguan offers you an available third-row to accommodate up to seven passengers. Cargo Utility: You can fold down both second and available third row seats in the VW Tiguan to reveal 73.5 cu. ft. of maximum cargo space. This is a much more generous area than the Jeep Cherokee, which maxes out at 54.9 cu. ft. with the rear seat folded. 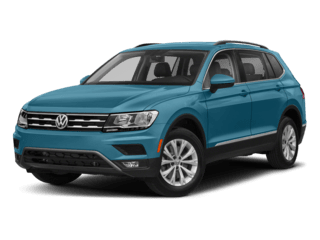 Infotainment: The Volkswagen Tiguan comes standard with a 6.5-inch touchscreen display, allowing you to integrate smartphone features with Apple CarPlay and Android Auto. An available 8-inch touchscreen package provides you with Discover Media Navigation, too. The Jeep Cherokee comes standard with a 5-inch touchscreen display, meaning it’s more difficult to use, especially while you’re on the go. Bring the family down to Jennings Volkswagen in Glenview so everyone can see how the Volkswagen Tiguan is a top choice. You’ll find our showroom at 201 Waukegan Road, just north of the greater Chicago area. Schedule an appointment for a test drive and find out how you can finance your new VW Tiguan Monday-Saturday by contacting our dealership. When you shop with us, you’ll find out why so many drivers choose Jennings Volkswagen!